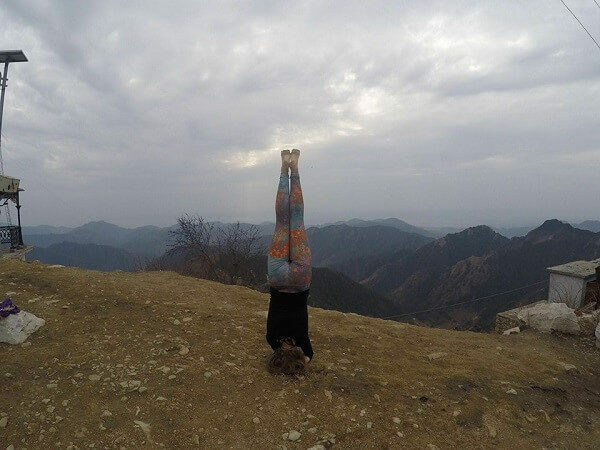 The 500 Hour Yoga Teacher Training Rishikesh course is conducted twice a year in Rishikesh, India. This provides participants a leverage to complete this 9 weeks program, in a 500 hour format or in a split section of 200+300 hours. This program is designed for individuals aiming to be professional yoga teachers . The 500 hours yoga trainingprogram delivers a deep insight and learning for developing professionalism in imparting yogic teachings. This course has been built to impart in depth understanding and experience of yoga. Through this program one can acquaint oneself with various subjects like anatomy, physiology, methodology, philosophy. The course is scientifically designed. This includes an intensive yogasanas, pranayamas and mudras to be practiced daily. Asana: Atri Yoga justify includes comprehensive sessions of intense 4 hours asana practice, each day throughout the six days divided in two hour morning session and two hour evening session. Also, teachers are available for guidance throughout the sessions. Alignment: This class will be held daily for two hours. It has been designed to help the learners understand the importance of the right alignment of asanas (poses) class by implementing proper and effective techniques. Unique belt props are used for adjusting the asana positions for optimum results. Alignment learning is a crucial part of yoga learning and without this, proper asanas are impossible to achieve. Pranayama: This class is held twice a day following the Asana class. Yogic breathing exercises are called pranayam, which means the art of controlling one’s breathing pattern. 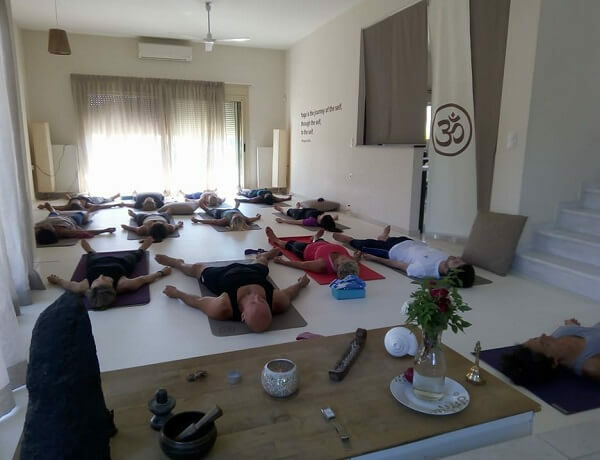 Pranayam is very beneficial for healthy living and classes are held to impart knowledge about the most effective breathing techniques for optimum results. Mudra and Bandha: Mudras are nothing but symbolic hand gestures to direct energy through particular channels in the body.Practicing the art of mudra is concerned with many sensory aspects. Bandhas meaning body locks form an essential part of the pranayam practice. Shat Karma: Shat means six and karma means action. The Shat karma is a six step cleaning technique of the human body in yoga. This is practiced early in the morning for all six days in a week. Meditation: When the body and the mind relax, meditation happens. Meditation allows you to go beyond the wilderness of ordinary mind and achieve peace. This session is held for 30 minutes, six days in a week. Philosophy: This training programme also includes philosophical sessions. These sessions are organized by Yogi Harishchandra and Guest teacher Guru Buddhi Prakash ji at the Atri Yoga. This helps the keen learners learn more about the Indian spiritual philosophy and yoga. Anatomy/Physiology: Enlightened and well acquainted Dr. Harsh imparts Anatomy and physiology lessons to our trainees under this yoga teacher training course. Chanting: Yoga Teacher Trainees will be taught to chant and present yogic mantras at the start and end of the yoga classes for 30 minutes, 3 days in a week. Also, we teach how to use mantra to purify and balance the working of our body chakras. Also Mantra Dhyana is another lucrative and knowledge enhancing section of this course. Hatha yoga curriculum level 1,2,3. The self as existence, knowledge and bliss absolute Conquest of death. What is meditation? Why is meditation? The Confirmation Fee is 500 USD. This is non-refundable but may be transferred to any other upcoming Yoga Teacher Training course. If in case you miss out our TTC after payment, the Confirmation Fee can be used for any future course or program. The Confirmation Fee is the part of the entire Course Fee. The rest of the Course Fee balance must be paid in cash on the first day of the course either in Euros, US Dollars, British Pounds or INR, amount according to the Dollar rate on the date of payment. I have decided to join the training course, and during the course, I shall sincerely attend the classes regularly as well as will be punctual. In order to learn and understand yoga, I will keep the atmosphere pure and clean. If I happen to disturb the atmosphere, I will not voice against my restriction from the course. I confirm that I will follow the rules and will maintain the code of conduct. As an institution, we have laid down certain boundaries and criteria which are mapped with specific rules and regulations. All students are advised to sincerely follow our rules and regulation throughout the course duration. Student can pay in INR, Dollars, Euro or Ponds. The fee once paid will not be returned, in case of serious circumstances, the fees will be adjusted for next batch or course on request. Every student should follow the dress rule as per the instruction. Every student is requested to attend the class in yoga dress. Every question which is asked by the students in the class must be only related to course. Positions like Shoulder stand, Head stand, Viparitakarani and Kapalbhati, Uddiyan bandha etc. How to Apply: Fill the application form and send it to rishiatri@gmail.com, after approval deposit $500 in advance to confirm your place in the course. After realizing advance payment, we will inform you via e-mail after receiving. Eligibility: Anyone who is interested in learning ancient Indian system of Yoga and its applied science? It is available for all, irrespective of caste and creed although your eligibility will be accessed after you send us detailed application form, after checking your eligibility, we will mail you and, you have to proceed for payment, after payment your seat will be confirmed. 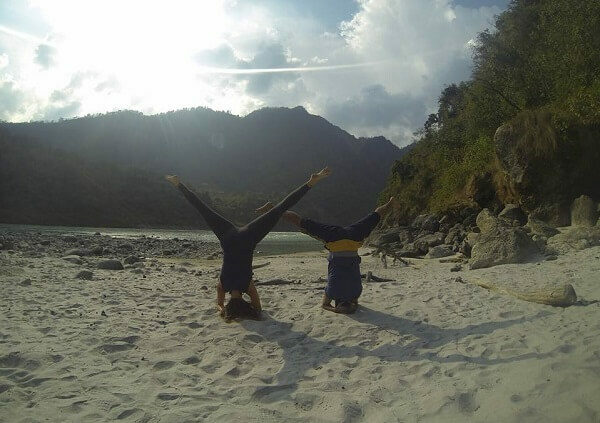 The 500 hrs ttc in Rishikesh India is available for everyone who is seriously keen about leaning ancient Indian system of Yoga and its applied science. We train everybody irrespective of caste, creed or any cultural background. However, your perfect candidacy will be confirmed after we receive a detailed application form. Your eligibility for enrollment will be confirmed after thorough scrutinizing of the application form. We have a systematic procedure for payment submission that conforms to your enrollment in Yoga ttc rishikesh. Accreditations: The Yoga Diploma will be awarded by the Atri Yoga Center on successful completion. 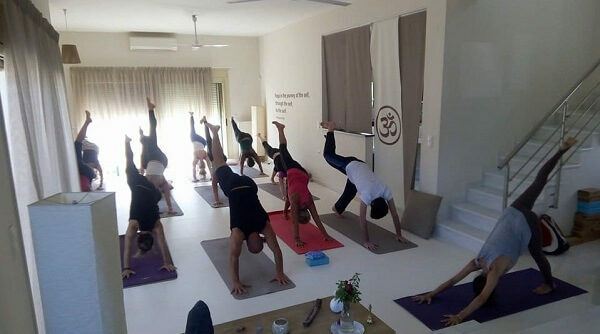 The course is also certified by Yoga Alliance for 200 hours, 300hours and 500 hours Yoga Teacher Training and it is also internationally recognized by International Yoga federation, the world’s topmost yoga organizations. Course Syllabus: The 500 hrs teacher training course in rishikesh helps in preparing future yoga teachers who can impart lawful training to the spiritual seakers .This course includes an intense yoga asana pranayama practice twice a day and meditation shatkarma (yogic cleansing), adjustment philosophy anatomy and physiology once a day throughout the six days in a week. Yoga Styles: We have expertise in all kind of yoga styles to make the Yoga effective excellent and tremendous like Hatha Yoga, Ashtanga Vinyasa, Kundalini yoga, Raj yoga,Kriya yoga, shivananda yoga and many more. Hatha yoga is a style which balances, body, mind and conscious to bring the state of super consciousness. It is smooth, stretching and holding type. Ashtanga Vinyasa is a dynamic flow of poses (asanas), it’s emphasizing ujjai breathing, lock, gaze and base for power yoga. Course also on different levels of asana, pranayama,shat kriya, bandha, mudras,mantra, and meditation. Hatha yoga, Ashtanga Vinayasa Flow, Yoga Guru, Testimonials, Picture Gallery, Latest Update, 200 Hour Yoga Teacher Training,200 Hour Kundalini Yoga Teacher Training , 300 Hour Yoga Teacher Training.